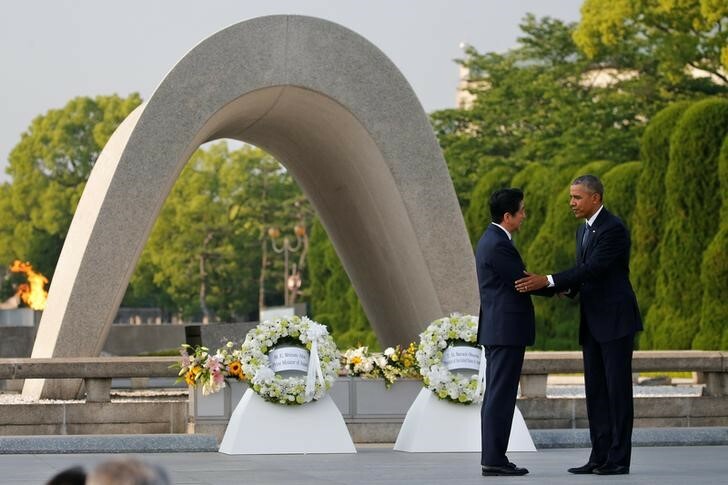 TOKYO (Reuters) – Japan marked the 71st anniversary of the U.S. atomic bombing of Hiroshima on Saturday as its mayor urged world leaders to follow in U.S. President Barack Obama’s footsteps and visit, and ultimately rid the world of nuclear arms. A peace bell tolled at 8:15 a.m. (0015 London time on Saturday), the time a U.S. warplane dropped the bomb. 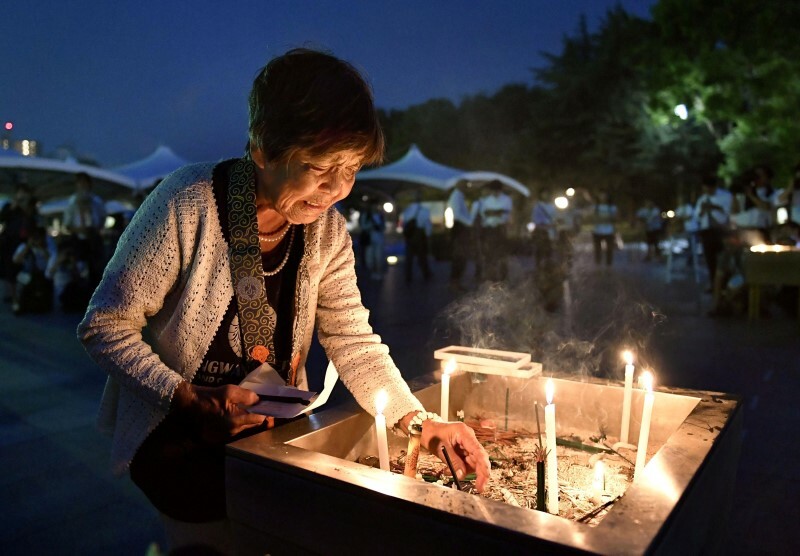 About 50,000 participants including aging survivors and dignitaries held a moment of silence at a memorial ceremony in the western Japanese city. But Tomomi Inada, Japan’s new defence minister and an Abe ally, said on Wednesday she did not believe Japan should consider possessing nuclear weapons.